The walk commemorates Hamilton’s famous creation of a strange new number system, called quaternions, on the banks of the Royal Canal in Dublin on October 16, 1843. Quaternions now play a fundamental role in computer games and animation, special effects in movies, space navigation, physics, engineering and many other areas. 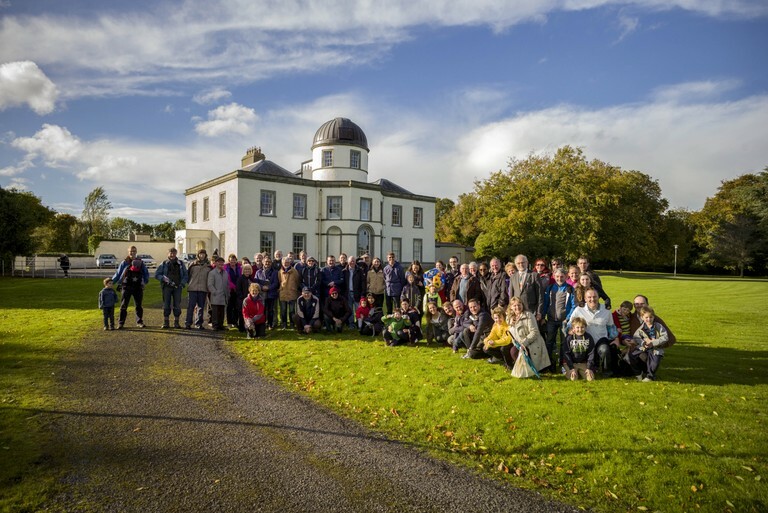 The walk will retrace Hamilton’s steps from Dunsink Observatory to Broombridge in Cabra where he had his Eureka moment. Hamilton performed a piece of mathematical graffiti by scratching his quaternion formulas on the canal bridge. In an act of mathematical vandalism, Hamilton opened up a whole new mathematical landscape where mathematicians could now feel free to conceive new algebraic number systems that were not shackled by the rules of ordinary numbers in arithmetic. Hamilton freed algebra from arithmetic and he was called the Liberator of Algebra. This year marks the 175th anniversary of the creation of quaternions.